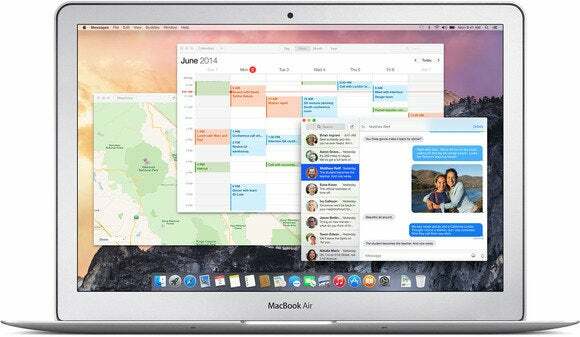 Which Macs can run OS X Yosemite? Now that OS X Yosemite has officially stepped out of public beta mode and into prime time, I’m sure you’re itching to give it a go. But before you begin the installation process, there’s one question you need to answer: Can your Mac actually run Yosemite? Luckily, if you’re already running Mavericks (Mac OS X 10.9) on your Mac, that same Mac is compatible with Yosemite—Mavericks and Yosemite have the same system requirements. Apple confirmed that your Mac requires 2GB of RAM and 8GB of free storage space for the installation. If you’re not sure how much memory or available storage your Mac has, it's easy to find out. Go to your Apple menu, select About This Mac, and look for the Memory listing to see how much RAM your Mac has. For storage, click More Options, and then click the Storage tab. You'll see a handy breakdown of how much of your Mac's storage is being used, and what is taking up so much space. Are you installing Yosemite today? Let us know if you run into any problems with your Mac in the comments below.